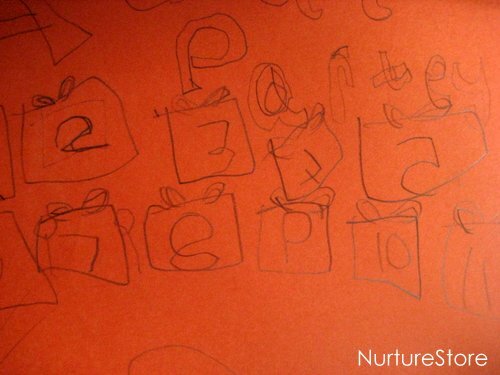 A simple child-made countdown chart, leading up to a holiday or birthday, can be a marvelous way to add in some fun math games. 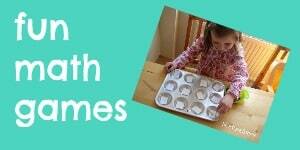 Here are ten ways countdown charts can be used for all sorts of practical math skills. 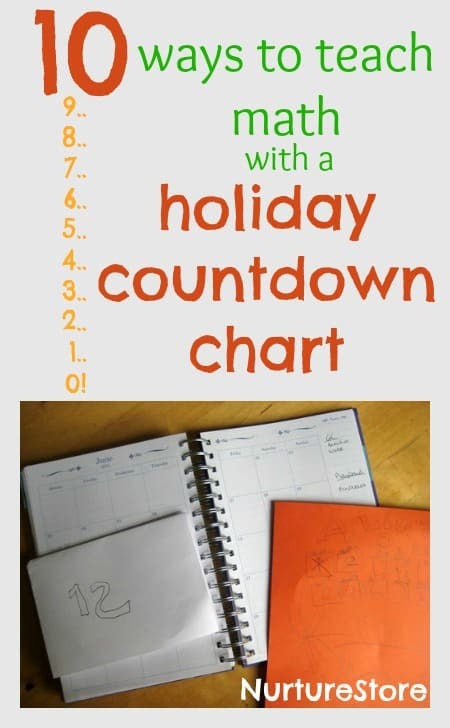 Using a simple child-made countdown chart in the lead up to a holiday, birthday or other celebration is a great way for children to learn a range of math skills. 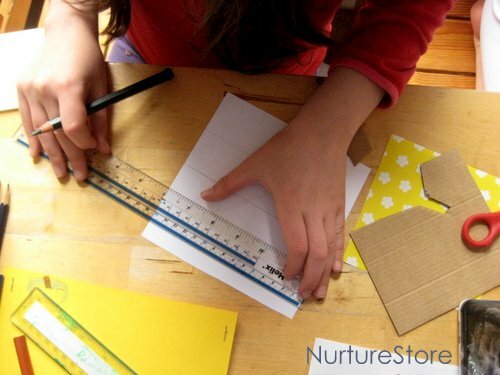 :: make math real, and show children how math is a vital skill that everyone needs to learn about – not just some text-book, abstract ‘school work’ chore. :: make math relevant to your child. How many buckets of water John can carry, or how fast train A is going might be interesting to some, but for most learners the lesson gets far more attention when the subject is directly related to them – it just makes things more personal. #10 subtract, working out how many days you have until your party when you’ve already crossed out eleven days on your chart – exciting! With a family or class of children, everyone can make their own individual chart, giving each person the chance to work on the skills that suit their own stage. And of course, you can adapt your expectations to suit each individual. When I might encourage my 10-year-old to think carefully about her spellings, I’m delighted that my 6-year-old is making a great attempt at writing down the sounds she hears in words. I also know my elder daughter is able to write her numbers the right way round, but with my younger one it’s more important in this activity to have a try at writing them, even if she has a wobble here and there. Stick your chart up in a prominent place – which in our house is always the fridge door! – and you have an eye-catching pull to practice a little math thinking every day. There’s a lovely book that could work with this – How Many Sleeps till my Birthday by Mark Sperringa nd Sebastien Braun. It’s really charmingly illustrated, and although it’s about a birthday, it could be changed to being about the holidays (with a special party to start them off?). Thanks Zoe – I’ll have to have a look for that. My 7-year-old still counts things in sleeps.